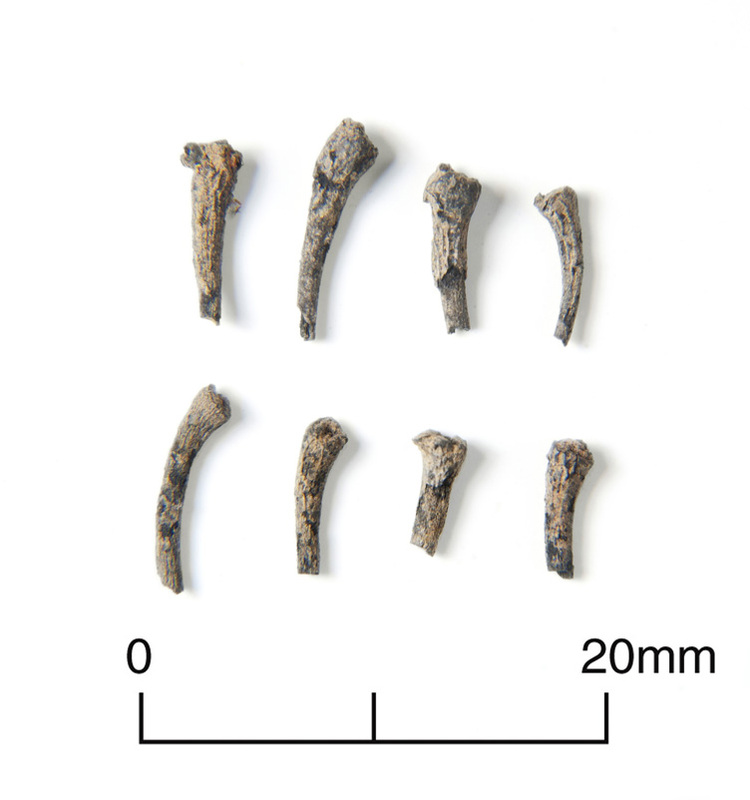 These curious-looking objects were among a group of 15 found in the same pit. They are baked clay ‘loomweights’, thought to be used with vertical (warp-weighted) looms. 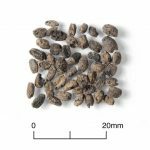 Radiocarbon dating of plant remains recovered from the pit indicates that the objects were deposited between about 3800 and 3700 years BC, in the early Neolithic period. 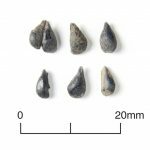 This means that they are among the earliest finds of this type from Europe. 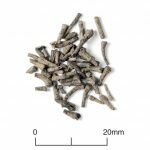 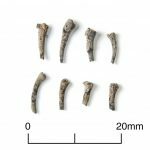 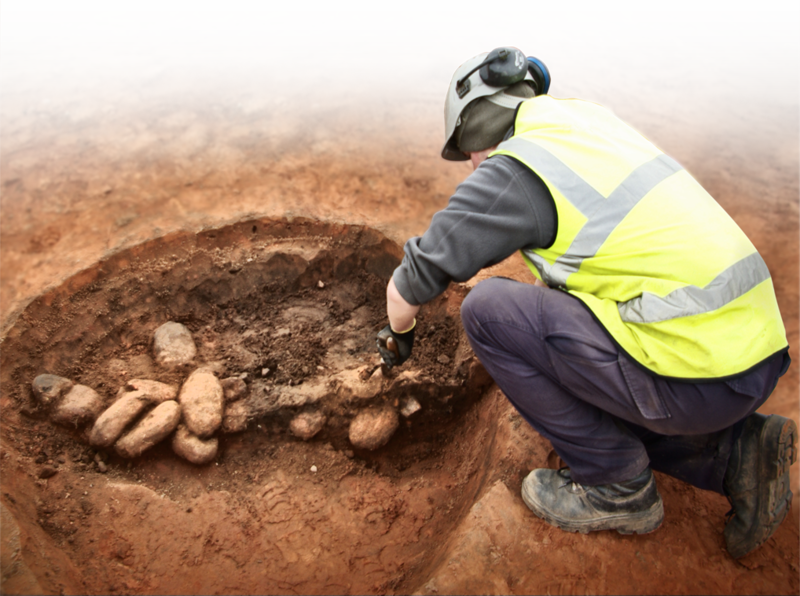 Only one other site in Britain has produced a similar find, a single weight from a Neolithic longhouse at Easington, County Durham. 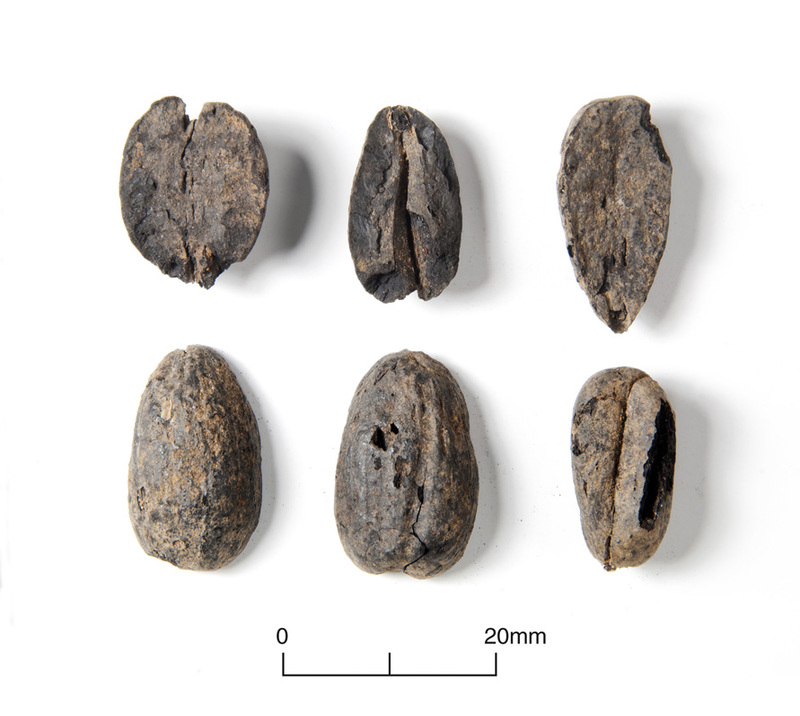 In comparison with loomweights known from the Bronze Age and later periods the Project Dixie weights are unusually heavy, weighing up to 1.5 kg each. 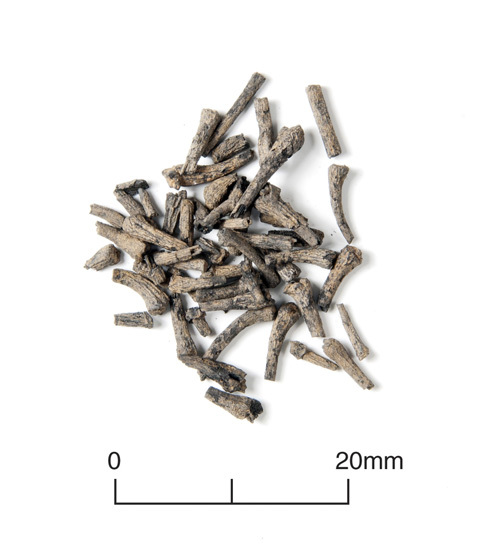 This may mean that they were intended for use with plant fibres such as flax or hemp, rather than with sheep wool. The pit from which the loomweights were found was also remarkable for the very large quantity of charred plant remains environment evidence it produced. 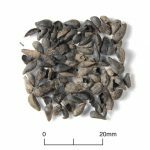 These included ‘wild foods’ consisting of hazelnuts, acorns, crab apples and some cereal grains such as barley and emmer wheat. 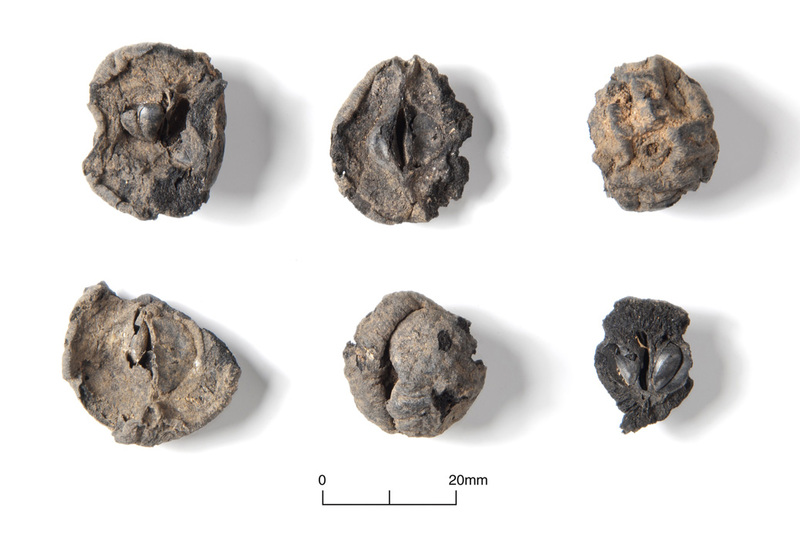 It is clear that wildfoods were commonly used to supplement the diets of our Neolithic ancestors, although the presence of acorns is unusual. 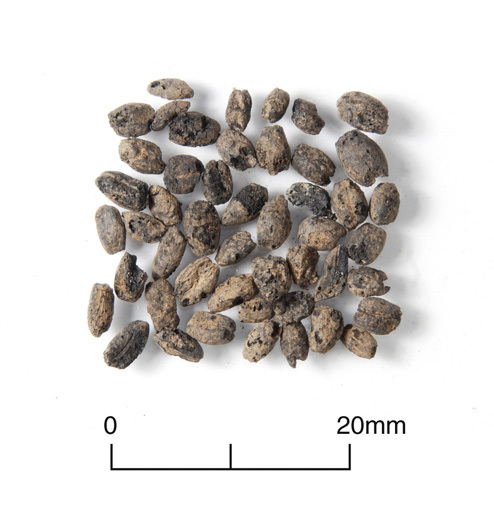 Acorns, although highly nutritious, required processing to remove the bitter tannins before being palatable. 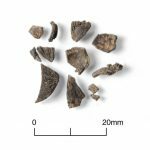 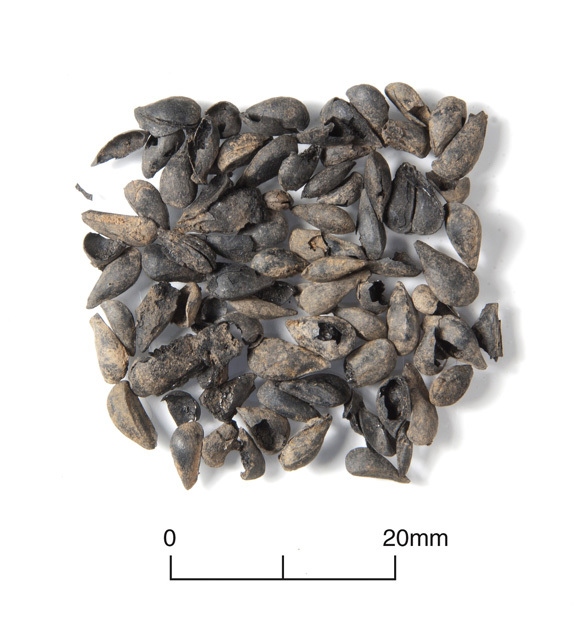 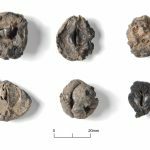 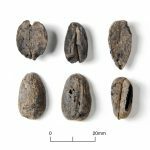 The limited evidence of acorns within the archaeological record in Britain is of interest and suggests that either they were not regularly exploited, or that processing techniques render them unrecognisable when burnt.